Entitled. Broke. Lazy. Glued to their phones. That’s us. Who wants that? 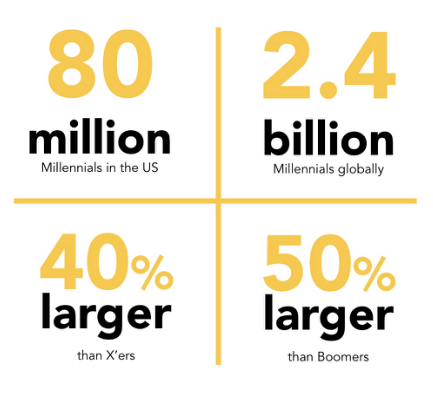 Millennials tend to have a bad rap. But we’re also sharers, we prefer experiences over things, some of us are parents, and there are billions of us. 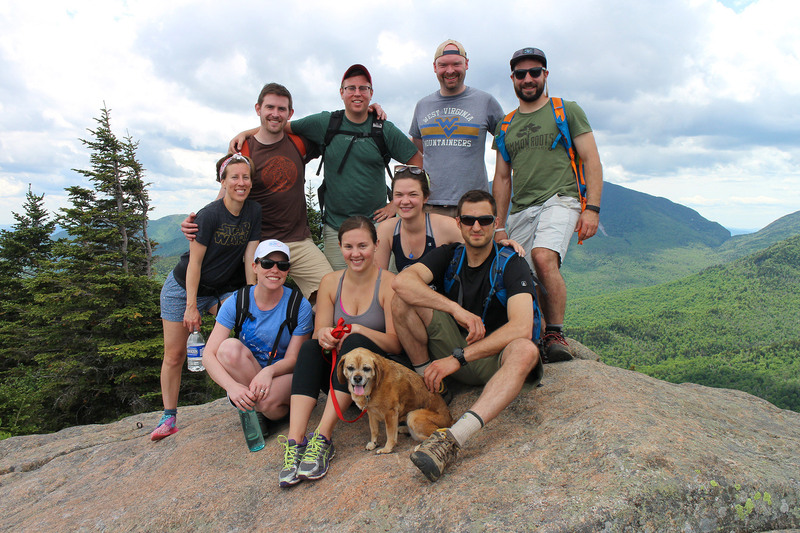 So how do we convince our own demographic to choose the Adirondacks as a place to spend time and money? 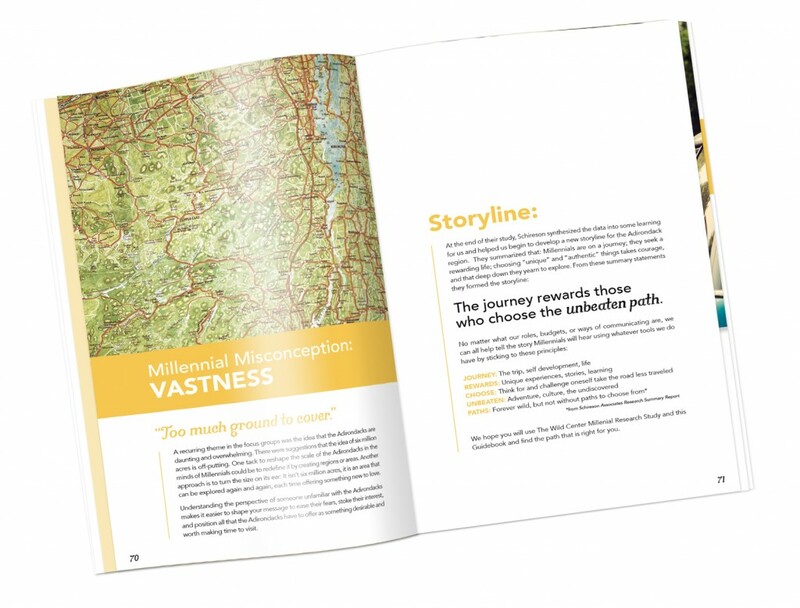 The W!ld Center hired Schireson Associates in New York City to do a study on millennials and the Adirondacks. 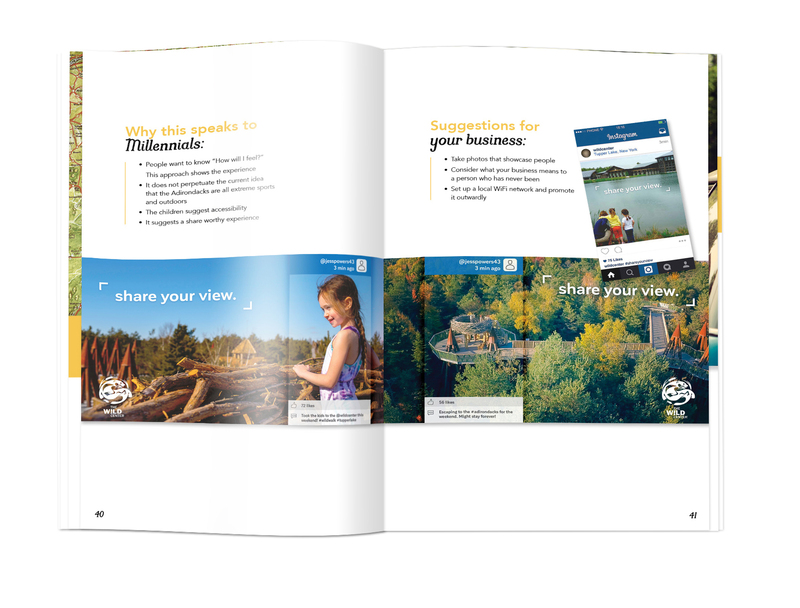 They approached Trampoline to interpret that data and asked if we could take the study and create a guidebook with strategies that would help businesses, organizations and TPAs reach millennials and get them to the Adirondacks. It was an exciting opportunity for all of us, and for the owners it was a convergence of all the things they aimed to do when they founded Trampoline 13 years ago. To be honest (TBH), there was a small panic between millennial staffers at first. I hadn’t posted to Instagram in a year, Kelli hadn’t logged into Facebook in months, John had trouble wrapping his brain around the fact that some people don’t want to spend a week in the woods. But that wasn’t the point, there are stronger themes that are the core of this project. The end result covers more ground than we could ever have imagined. 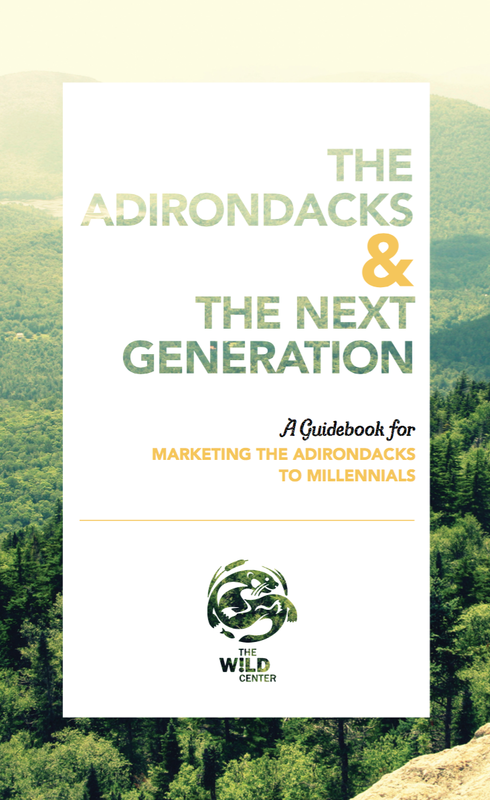 And it’s not just the book itself, it’s the re-emergence of the information and solutions it holds for businesses in the Adirondacks and beyond. GUIDEBOOK SPOILER: Everyone’s seen the stereotypical beautiful mountain top shot and sunrise shot from the kayak. It stirs interest, but it’s not getting people to the Adirondacks and it’s not getting people to spend money here. We need to appeal to the “indoorsy”. Food & Beverage: Food and beverage is an experience for us. One guy in the group would have traveled all the way to Keene just to go to the Adirondack Cafe for their really fresh and locally sourced food. One car stopped at a food truck on the way back (side note: Food Trucks are awesome and we want more in the Adirondacks). We also talked about heading up to the Lake Placid Pub & Brewery for a couple brews but the need for showers and naps triumphed. Overwhelmed: “This is a high peak right? No. Seriously?” Being a 46er is not going to be in all our futures. Options: We were super thankful that we were in a place with options that day. We originally planned to hike to Rainbow Falls but had a dog (FYI, no dogs allowed on that trail) with us and had to switch plans last minute. There were a lot of trail heads in the area but I got very nervous that a couple of us would have to stay behind with the dog and wouldn’t have anything to do. And that would mean separating from the group in a place that doesn’t have cell service. Also, my body is still tired from that hike but I want to take advantage of the Adirondacks and all it has to offer since it’s in my backyard. What else in the Adirondacks is worth the hour or two drive for the day or weekend that isn’t a big hike or camping trip? Endorsements: We chose this hike based on a recommendation from a friend. Then we talked to other friends and ended up with a group of nine. Afterward, photos of our trip ended up all over Facebook, Instagram, blogs, Twitter and Flickr. Amenities: We were pretty concerned about finding a milkshake. We ended up driving back to Glens Falls before we got one but if we knew about a shake place on the way back we would have stopped. We’re also all familiar with the Adirondacks so we made sure we had Motrin, bug spray, plenty of water and food with us but a group of millennials not from here may not have been as prepared. Vastness: Just look at this. How do we combat the sheer vastness of the Adirondacks? We also address lodging and worth in the guidebook. A compilation of issues and solutions for all generations in the end. The only difference is that millennials demand (maybe feel entitled?) while other generations want. There has been a lack of understanding about all the Adirondacks has to offer… if we can all work together to frame the Adirondacks as an accessible, shareable, exciting place to be we can build a promising future. Not just for Millennials, but for generations to come.